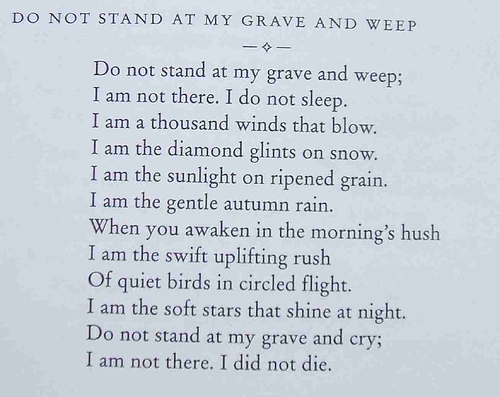 Do not stand at my grave and weep…. I’ve seen it in many shapes and forms, and have always loved this poem. Since I was putting it in my blog, I had to look up its original source, and I give credit to Mary Elizabeth Frye, circa 1932.